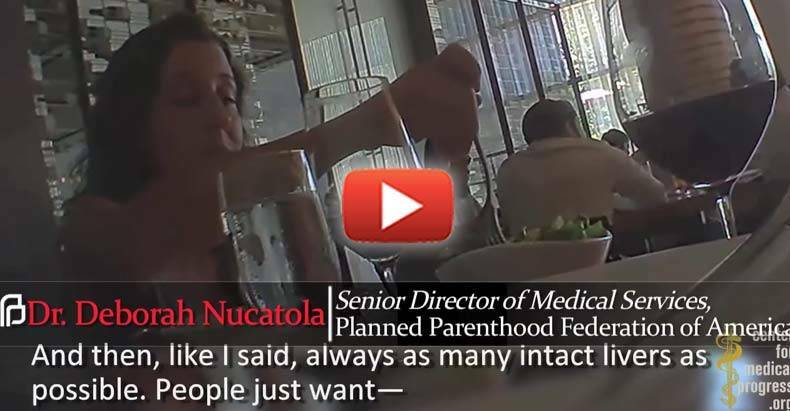 A hidden camera has captured a disturbing conversation in which the Planned Parenthood Federation Senior Director of Medical Services, Dr. Deborah Nucatola, discusses the operation’s fetal parts side business. “I’d say a lot of people want liver. And for that reason, most providers will do this case under ultrasound guidance, so they’ll know where they’re putting their forceps. Planned Parenthood Federation of America (PPFA), commonly shortened to Planned Parenthood, is a non-profit organization providing reproductive health and maternal and child health services. Planned Parenthood has been financed by the US government since 1970, when Richard Nixon signed into law the Family Planning Services and Population Research Act. Approximately 1/3 of their funding comes from the state. By law, federal funding cannot be allocated for abortions, but some opponents of abortion have argued that allocating money to Planned Parenthood for the provision of other medical services “frees up” funds to be re-allocated for abortion. This investigation by the Center for Medical Progress reveals the unimaginable horror that is Planned Parenthood. The exploitation of human life, the cover-up, and the black market profiteering by America’s largest abortion chain is not only egregious and heartbreaking, but exposes how the abortion giant is corrupt to the core — from the CEO, Cecile Richards, down to the local clinic. Of course, organ donations can be beneficial for those in need. However, as this video shows, these government-funded abortion clinics have an actual financial incentive to abort babies — more aborted fetuses = more black market sales of fetal parts. Should the state be involved in funding those who profit from the promotion of abortion to build an empire dealing in baby parts?